I studied photography at university but knew I didn't want a career as a photographer. So, I started working as a picture editor in publishing. I started blogging in my spare time in 2008, and in 2011 noticed a trend for online magazines, but spotted a gap in the market for a UK based interiors title. I started publishing the magazine online only and did so from 2011 - 2014. I went freelance in 2013. 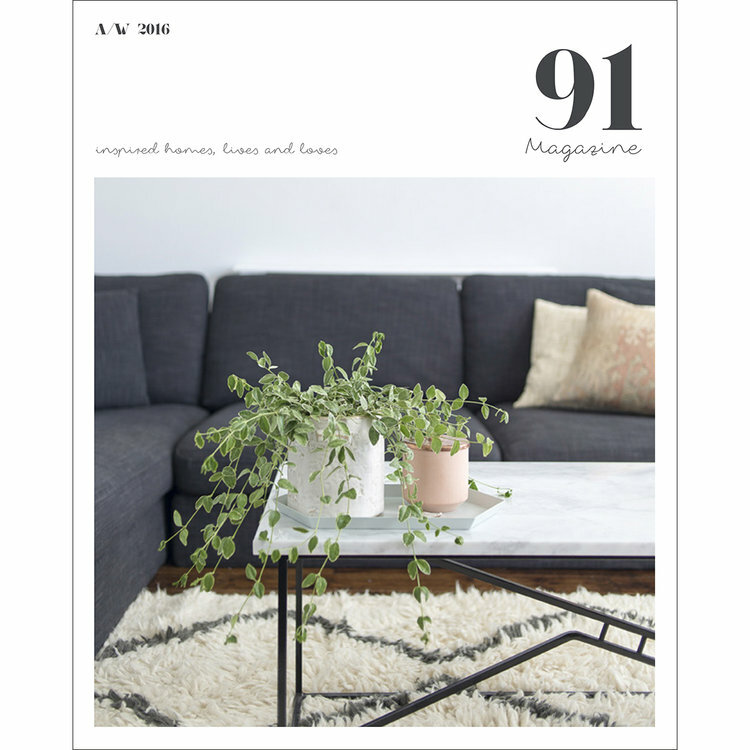 In 2015, I took a break while I had a baby and wrote my first interiors book (The Shopkeepers Home) and then in 2016, I relaunched 91 Magazine into the independent print magazine market. The name comes from my previous home - it was the door number. It was the first home I'd owned and could decorate how I wanted, so I felt very inspired there. Plus, it was also where 91 Magazine was born - in a tiny spare bedroom office! We celebrate inspiring spaces, creativity and community. We focus on sharing home interiors that are creative and attainable, and we love peeking inside the workspaces of people who have chosen their own path. Whether that's a beautiful independent store, a workshop venue or a cafe. We also incorporate our love for the online community, through hashtag projects and commentary on living creatively. We recently moved to a new house and are slowly doing it up, some rooms are kind of finished and some are far from it! So at the moment, it's the process of working out how I want to decorate each room that's inspiring me. Some evenings I find hours have gone by and I have been fully immersed in Pinterest and online shopping, building ideas and making plans. I'm documenting this over on my own blog Patchwork Harmony if you fancy a peek. The best part is that I am getting to do what I love, it can be stressful at times, but generally, I thrive on the task of bringing together of words and images, and creating something beautiful for others to enjoy. I must admit I do love the weeks after a new issue publishes, and seeing our readers pics of it on social media and hearing what they think! It makes it all worthwhile to see people getting enjoyment and inspiration from it. One of the hardest parts is that it is difficult to make a living from it, so I have to try and do other freelance work around it to help pay the bills. It is a real labour of love! I've always loved magazines (and books). I remember as a child my uncle, who worked in a bookshop, used to bring me magazines every weekend, and occasionally a stack of new books, and I loved finding a corner and delving into them. Even though 91 started off as a digital magazine, this was mainly because at the time I didn't think any printers would be willing to do small print runs, and it was a good way to test the water with the content. But it was always my dream to get it into print. 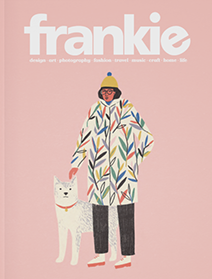 I think particularly independent magazines are so well suited to print, they feel nice, they look good on your coffee table, and there is definitely something special about curling up with a cuppa and a new mag. Well, I tend to read a real mix of books. At the moment, I'm actually reading the Unmumsy Mum Diary. It's a hilarious account of parenting, and as a working mum myself, a lot of the author's stories really resonate with me. Magazines I read are generally other independent titles - Lionheart, Lodestars Anthology, Frankie, Koel, Oh Comely. I very rarely buy any mainstream titles anymore. As for blogs, I tend to skip around the internet, reading random posts, often in the name of research, but I do like to catch up on ones I have read for years - Apartment Apothecary, Lobster and Swan, Junkaholique, Circle of Pine Trees, Little Green Shed, The Lovely Drawer... oh there are too many to mention! Either curled up on the sofa with a cup of tea and some chocolate or actually, I quite enjoy a good read on a train journey. I quite like the feeling of being in the middle of everything yet fully immersing myself in a story or another world, while the world whizzes by. Huge thanks to the amazing Caroline for taking the time to answer our Meet the Magazine questions. You can pick up the lastest edition of 91 Magazine from the website right now, and head straight to your favourite reading spot. Find the latest issue of 91 Magazine over on our website.